Personal Awards is highly experienced at printing onto t-shirts, sweatshirts, jackets, uniforms, and more. We cater to many different types of customers including corporations, small businesses, schools, fundraisers, booster clubs, youth camps, team sports, and reunions! Whether you need hundreds of t-shirts or simply jersey numbers for a team of twelve we are more than able to accommodate your order! 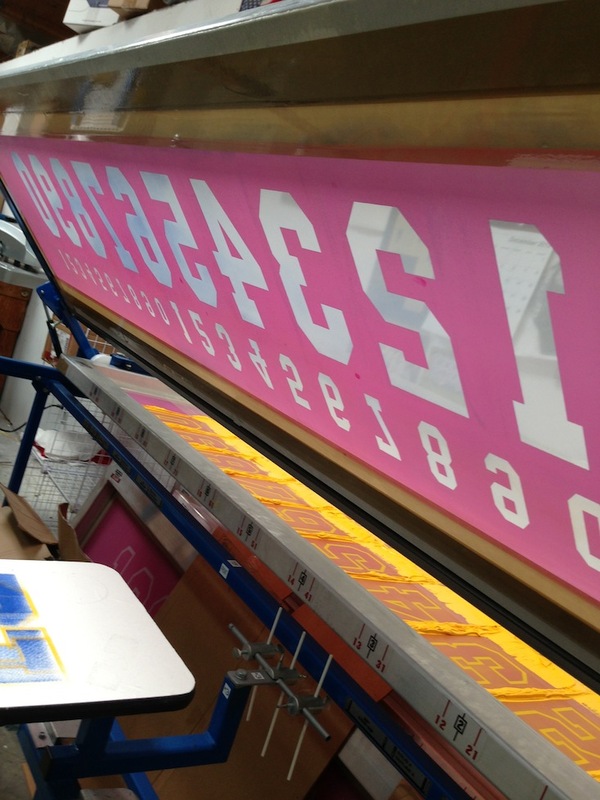 Our staff is trained to print your custom designs with state-of-the-art screen printing technology. Check out our Facebook page to see our most up to date photos and completed orders! Click here to access our screen printing price list.